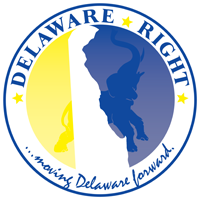 What has happened to politics here in Delaware and the nation? Why have we reached a point of constant stalemate? It seems as if nothing gets done to actually help the lives of the average citizens of the state, or the nation. Oh! Sure we get laws to allow people to receive needles to feed their addictions, we get laws that allow more people to gamble away their family’s future. We get laws to legitimize certain life styles. Or we get laws that would impose one person’s faith upon another person, we get laws that would take away one person’s right in favor of another person’s right. What we now receive from our government, is an endless number of legislative attempts to buy the votes of single issue, single-minded voters. Our elected officials and political candidates are so busy trying to figure out which of the multitude of single issue sub groups out there will bring them the most votes, that they have lost the vision of the bigger picture of running for office, and more importantly, of actually governing in a manner that benefits the most people, not simply the bare minimum of a majority to win an election. Some would say it is the amount of money involved in the political process of today that has corrupted the process. I would say that this is definitely a part of the problem. In reality though it is a circular problem. At some point, and I am not sure when, the process became an attempt at getting elected simply for the sake of being elected. The high-minded ideals of being elected so as to actually serve the people was lost. At this point the people and their needs as citizens became a secondary consideration to the need to be elected. This caused the political calculations to reign supreme over the needs of the people. So politicians began calculating which issue would buy them the most votes. They started calculating which issue would lose them the most votes. No where in these calculations is the benefit to the citizens as a whole entered into the equation. Now of course it is a political reality that to govern, one must first win, and to win one must appeal to that bare minimum of a majority. I get it. Does this mean that our leaders cannot do this by appealing to the people on issues that affect all of us? Instead of playing the single issue game? As I said though, this is a circular problem, it is not just the politicians who have caused this problem, the citizens themselves have added to this problem. By demanding that elected officials pander to their single issue, be it abortion, or gay marriage, these sub groups demand lock-step, one hundred percent, check list politics from their candidates and those who are elected. In doing so, they force the officials to attempt to spin issues, tell half-truths, to work to never offend even the offensive. We live in a representative republic, and that means that it is a partnership between the governed and the government. If the people demand, then the government will react. So it is the responsibility of the governed to be responsible in their demands, for as the old saying goes, “be careful what you wish for!”. Let’s face it, we have gotten to this point mainly due to human nature. It is human nature to be a bit selfish in our wants and desires. This includes our political wants and desires. So it is not surprising that we as a state and a nation have evolved into a people who seek only those things that would directly benefit our own lives, and are unwilling to tolerate, or pay for, the things that benefit others. We as a people, have come to the conclusion, that it is a zero-sum game. That for one side of a debate to gain, the other side must lose. In some cases this is naturally true. But does not have to be true in every case. Too many citizens have also lost the vision of the bigger picture. They no longer see themselves as a part of the state, or the nation. They simply see themselves as members of some small single issue sub group, be it gun owners, or pro-choice advocates, or any number of single issue groups. And in doing this, the citizens have forced in large part, the politicians to react, because remember this is a representative republic, and so if the citizens demand this behavior, is it surprising that the politicians represent those views? I think not. This is why I believe we are seeing a deterioration of the political process. Far too many citizens are demanding this check list form of government. These citizens want, no demand, that every candidate, for every office, meet some arbitrary check list, that meets their own personal views. If a candidate strays from this check list on even a single view, on a single issue, then they are cast overboard in favor of the next politician who will spin and tell half-truths to gain that bare minimum of a majority. The voters have become so intolerant of opposing views, that they have forced their representative to be just as intolerant. This intolerance has gotten to be so prevalent that any form of compromise on the part of an elected official with the other side of a debate, is seen by the voters as a complete sell out, and these politicians are then targeted for retribution in the next election. While I understand that not all voters will be able to see the larger picture of why it is often necessary to compromise with your opposition, there is a faction of voters out there that just don’t care. These voters are on both sides of the political spectrum, call them liberal or conservative, right-wing or left-wing, Democrat or Republican, this faction of the voting citizenry are completely opposed to any form of compromise with their fellow citizens. They demand of elected officials a form of government that allows only one side to gain in any debate or settlement of an issue. Unfortunately, it seems as if these citizens are always the loudest, if not the most numerous among us. They are the shouters, they are the people who show up at meetings and threaten, not only elected officials and candidates, but their fellow citizens. They are constantly crying, “the sky is falling, the sky is falling”, they attempt to convince as many people as possible that the world will end if there is compromise on even a single view of a single issue. They seek not to work for the benefit of all citizens, or even a majority of citizens, they seek only to move their narrow-minded agenda forward, and will mow down any and all who stand in their way with verbal abuse and threats of retribution. So is it any wonder that our politicians reflect this behavior when running for office, and when governing? Politics has always been a bit of a blood sport, but the true art of politics is compromise that leaves both parties feeling as if they have made a gain. We no longer understand that art. Too many people are demanding that our politicians take no prisoners. That to win, the other side must be totally destroyed on every front. The problem with that mentality is that we as a people no longer recognize that while yes, the two major parties in Delaware and the United States, have opposing views on how to solve the problems and issues facing the people, there is no reason why they cannot work together to solve them, as long as the end goals are the same. To ensure that the people have the opportunity to achieve life, liberty, and happiness. But to do this, the people must first understand they are not the only people in the world, and that to compromise in order to move the flag of your agenda, does not necessarily mean that your opponent’s flag must be moved backwards. To think this way is what is systemically wrong with politics today. We see the political process as a battle ground where one side must push back the other side in order to make a gain, when we as citizens of the same nation should se it as a race, where each contestant is moving in the same direction and the goal is to end up in the same place. And that place should be to ensure that the United States of America and the state of Delaware are the freest, safest, strongest, most productive places to live. To do this, we as citizens, must learn at times, to put aside our personal check list, in favor of what is best for our fellow citizens. 6 Comments on "Check List Politics"
I’ll keep my comment short and to the point. The reason we are where we are today is because we have become selfish. Justic, domestic tranquility, promote the general welfare. All these speak of the common good and as well as the libertarian concept of the individual good. Each individual is entitled to the blessings of liberty, but those blessings to not weigh supreme against the common good. Those precepts are all equal. No one precept has primacy over another. What we lost was the ability to balance those precepts. We did this by reducing things to sound bites as if citizens were too stupid to comprehend more complex principles. The 2nd Amendment is a prime example. “A well regulated militia, being necessary to the security of a free state, the right of the people to keep and bear arms, shall not be infringed.” Has been reduced to “the right of of the people to bear arms, shall not be infringed.” This reduction, whether intentional or not, discards the common good principle that is provided by the first part “being necessary to the security of a free state” and promotes the individual mandate for the benefit of the individual rather than for the common good of the state (nation). Anyway, I said I would keep it short, so I’ll close. But that, in my opinion, is what happened. A good discussion would be why the common good has been tossed overboard. Since both of you were high minded, I’ll dive into the specifics. First, the money required for election. Frank mentioned it in passing. The large amounts of money now required for a campaign mean one has to find a donor and then practically “do what he says”. Once bonded to a donor, when approached by the opposition to compromise, compromise becomes your own death sentence in the next campaign. Two, whereas the main stream media has a progressive stance on social issues, it has a conservative stance on businesses. Obviously, all the main stream media outlets ARE big businesses. This has muddied the waters of controversy. We are still arguing over the same stuff we were in the late nineties. There has been no real progress over 15 years. That is not normal. With an objective press corp, we would have shaken out the answers long ago, and the American population would through their vote, insisted upon implementing them. Currently we are not getting answers from our media. We are instead getting blow by blow accounts; all drama, devoid of facts. One would think they wouldn’t know what to report next if the same stories they’ve talked about the past 15 years, were suddenly to get fixed and go away….. I have found foreign news sources are more reliable than domestic ones. I would encourage all readers to abandon American news sources and get their information from BBC. Often the Brit’s reports are too conservative in taste for me; however they might fit well with most readers of this blog. The objectivity is refreshing. The prime difference is that they don’t have any bones to lose in the fight. They sell their stories by telling the rest of the world who could care less whether Democrats or Republicans are behaving the more poorly this week,… what is really going on. Third, technology makes it too easy to surround yourself with only one opinion. If you are never challenged in your beliefs, it is easy to reinforce your current opinions as being right, and dismissing the opposite camp as being blooming idiots. Even the ads on-line are hand picked as being what our cookies tell others which ads we will want to pursue. How many have clicked on a sight by accident only to have that ad’s topic follow you every page you go? We only see our reflections. It used to be if you worked in the coal mines, you had to hear grumbling from Democrats in the pits along side of you, and grumbling from the Republican bosses yelling down at you. A day’s work gave you a balanced opinion…. Today, that is completely lacking… One has to go out on a limb just to find views about what the other side is thinking. These fallacies are fixable. Legislation can fix the money required and donated for campaigns. Loss of viewer-ship or many readers can fix America’s corporate media. Unfortunately, right now I don’t have any ideas on how to broaden people’s perspectives and forcing them to see both sides. Kavips and Dave, all excellent points. Kavips you close with asking how we broaden people’s perspectives? Well that is exactly our goal here at Delaware Right, and people like you and Dave making good points about the issues and problems, instead of only name calling, allows others to see that even people such as ourselves, who may disagree on the way to solve the problems, can share the fact that most of us share the desire for the state and the nation to prosper, and once we recognize that, we can then work to find common ground to solve those problems. We must not allow the noise machine to carry the day! Bruce, if you would put your finger on the screen and follow along as you read, and stop moving your lips as you do, you might realize that I have stated that in several post and comment threads. And! Speed and ACTION!!! !